Wrist or thumb injury? Applying cold therapy can help alleviate pain and swelling from an injured wrist or thumb. Chronic injury? Try using heat therapy to provide comfort and soothe the muscles in the area. 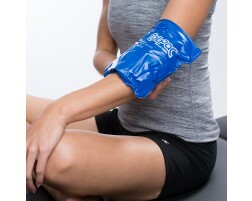 Shop a variety of cold packs, reusable ice packs, or cryo cuff for a sprained wrist, carpal tunnel, or a jammed thumb.